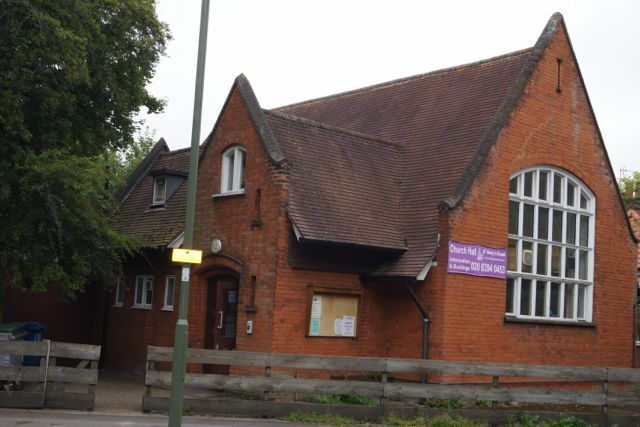 St Mary's Church Hall, London Road, EWELL, KT17 2AY. ADMISSION IS FREE FOR THE UNWAGED and also free for a first visit. or letting us know you will be coming along on the day. And please use the Geek list on this link to suggest and discuss games you would like to play on the day. WHAT NORMALLY GETS PLAYED AT EGC? We use an open gaming format although we mostly play "Euro style" games, from those at the lighter end of the gaming spectrum through to those that will melt your ear-wax if not your brain! More recently there has been an ever increasing playing of games where the theme is important/stronger, including ancient Rome, science fiction, fantasy, and horror (not necessarily all at the same time ). Many attendees use the day to organise and play some of the longer (time wise) games in their collections, especially some of the war games or 18xx games. So all in all, a mixed bag and probably something for everyone. Most people tend to bring several of their games along with them to offer a wide choice of options of games to play (choosing a game to play is often the hardest part of the day! ), but please feel free to bring along any of your games you would like to play. Or use the link above to measure support for a particular game that you would like to play. This event is open to anyone of any age who appreciates playing board and card games but we do ask that all children are accompanied by an adult who has beaten them in at least one game recently! If this sounds like fun, but you think you may not know the games that will be on offer to play do not worry, people are always prepared to teach beginners - most of us are more than happy to be told the rules rather than read them anyway! And we are very friendly and welcoming, so don't worry about being "new" and "not knowing anybody". Most of the now regular attendees did not know each other before the club started! OK, I'M INTERESTED IN ATTENDING, BUT HOW DO I GET THERE? There is no parking on site but there is usually plenty of on street parking opposite the hall or in nearby Church Street. It's about ten minutes walk from Ewell West railway station and a little further from Ewell East. The nearest bus stop (a few minutes walk) is the one we think is called "Bourne Hall" or "the Spring" on London Road; buses 293, 406 and 467 stop there. There is wheelchair access at the venue. Good lighting, plenty of tables, ample kitchen including use of all the materials (hot water device for tea, coffee, squash (available at nominal charge), microwave, cooker, refrigerator, dishwasher, lots of crockery, cutlery and glassware). There's also a Sainsbury's local about 10 minutes walk away and some sandwich shops between the hall and Sainsbury's. And there is a nearby pub - the Spring - a couple of doors down for people who would like a lunchtime pint (and they do nice food but they can be busy and therefore slow if you want yo eat there). Or you can just bring some food and drink with you which is what most people do! AND JUST WHAT IS "EPSOM GAMES CLUB"? Epsom Games Club was formed over three and a half years ago and has a well attended Thursday evenings club with "Euro" style games being the most popular choice of games played, but war games and even an 18XX game or two have been played. We are fortunate enough to have a few people who like to buy/collect games so there is a slight "cult of the new" (means we often get to try games before we buy them ourselves ). And because many of us think that four hours an evening once a week is insufficient for our game playing needs, that we hold a Games Day (typically) on the third Saturday of each month. This will be our forty sixth such day of game playing. Because we want to be "responsible customers", we do our best to leave venue on time as well as cleaner and tidier than we arrived, so if as you leave you can collapse your table and stack it away along with the chairs, that would be much appreciated. Sadly, I will not be there this month. Thankfully Paul has stepped into the breach as your Master of Ceremonies. Play nice and let him know your name - although Paul has been a long time regular at the Thursday evening sessions (right from session #1), this is his annual outing to the Games Day and by his generous "stepping up" has made the Games Day available to all. I have a prior arrangement so sadly can't make it either. However I did see a very distinguished gentleman standing on Raynes Park station on Saturday around 6.30 who looked the spitting image of our esteemed host. What a Small World we live in. I didn't see him and I was at that station too, from about 18:50 then a bit of a wait as they cancelled the next train I was waiting for and the one after was only 4 instead of 8 carriages long and was, of course, packed! Mind you, I did not see you either. Looks like we caught the wrong train. I didn't see your body double until ours pulled out of the station so he would have to have been very quick to spot me and my eldest son coming back from a curry in Brick Lane. Not going to make it - holiday booked. Happy to bring a car full of games so please say if there is anything you are particularly interested in. Yes, I would be up for this, if we can get a third - or I guess ideally 2 more, do you want to do it first thing? Having had a brief run through of your collection, Glory to Rome and Le Havre I have played once each and would like to try again and I have never played Caylus. Yes, I would be up for [Hold the Front Page], if we can get a third - or I guess ideally 2 more, do you want to do it first thing? That would be great - I want to sit out. ... Glory to Rome and Le Havre ... would like to try again and I have never played Caylus. Happy to play any/all of these. I should be along for at least some of the day. Possibly with Jack if I can tear him away from his laptop. Huge apologies but just found out from solicitor that we are completing on house sale earlier than expected - next week, in fact. (yes, I was surprised too.) Afraid this means I suddenly have to swap gaming for packing this weekend. Happy to contribute to this month's hall hire anyway, to make up for the gaffe. Will be there for the next one. Sorry all. Planning to be there. Hopefully before lunch. Sorry we won't be able to make it tomorrow - I've messed up my arm and struggling a lot. Doh! Hope everyone has a great day!